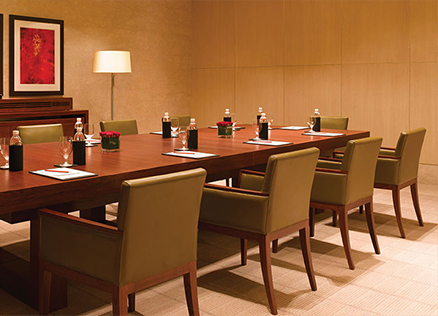 Trident Hotels in Mumbai offer extensive conference facilities and amongst the most stylish banquet halls in the city. Ideal for events from 6 to 550 guests, the venues are elegantly decorated, tastefully furnished and feature comprehensive technology to cater to the most demanding event requirements. We can customise any occasion. Each of our venues can be transformed with a variety of layouts to suit the occasion, be it a meeting, a corporate conference, a product launch, a large-scale wedding reception or an exclusive personal event. With well-appointed accommodation, creative food and beverage offerings and a committed team to take care of every detail, we have the right infrastructure and expertise to ensure that every event is a successful one. Whether you are looking for the best banquet halls in Mumbai, or the most modern meeting rooms and conference halls, Trident Hotels have something for every occasion. With a range of inspiring and flexible conference rooms in Mumbai, elegant accommodation, fine dining and high standards of service, we have what it takes to plan and execute memorable professional events. A range of elegant meeting rooms in Mumbai, extraordinary attention to detail and the Trident dependable service, all combine perfectly to offer a one-stop solution for your corporate and board meetings of 6 to 14 guests. Whether it's your wedding reception or a milestone anniversary, special events and lavish banquets need stylish spaces and extraordinary service. Trident Hotels has magnificent banquet halls in Mumbai that can be arranged, decorated and catered to suit your special occasion. Let our events team take care of all the details and make your day, one that you will cherish forever. From special room rates to complimentary upgrades for VIP guests, find out more about Trident Hotels’ incredible hotel deals in Mumbai and add style and value to your event. 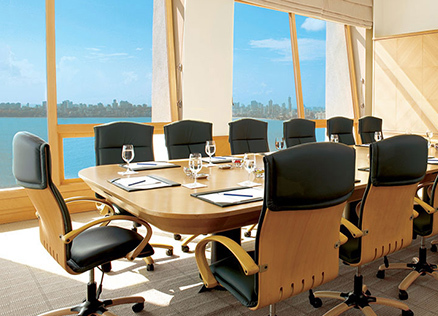 With more than 10,000 square feet of meeting spaces - including a grand conference hall in Mumbai’s fashionable, five star, southern district - tastefully appointed rooms with ocean views and an array of fine dining options, Trident, Nariman Point, offers an inspiring professional experience. Characterised by extraordinary attention to detail and equipped with superior technology, Trident Meetings in Mumbai is a one-stop solution for corporate and board meetings for between 6 and 14 guests.